Once crewmembers have signed their time sheet for the month, you will need to review and counter sign it. This will show all Time sheets that are still open and have not been signed by the Master. 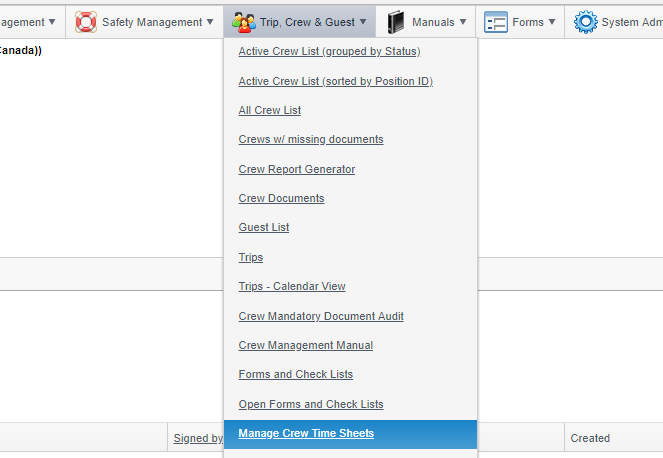 To sign off a time sheet click the 'Generate Report' icon next to a crewmember. This will generate a one page report showing all the hours that have been entered for the month, highlighting any non-conformities and comments entered. Pro Tip: If you are unsure about the 'hours of rest in any 24 hour period' column, you can click the blue number to see the period that has been selected. Sign the box in the bottom left side of the page and click 'Submit' to counter sign and lock the time sheet. Once it has been signed twice it can no longer be edited. Please note: You are able to amend the hours entered by the crewmember, but if you do the crewmembers signature will we wiped and you will have to request it to be signed again.